In 1891 Karl Elsener of Ibach Switzerland began making the folding knife that was standard issue to Swiss soldiers; in 1897 he invented the Officer’s Knife; within ten years Paul Boechat’s Coutellerie Suisse in Delemont was making similar knives. 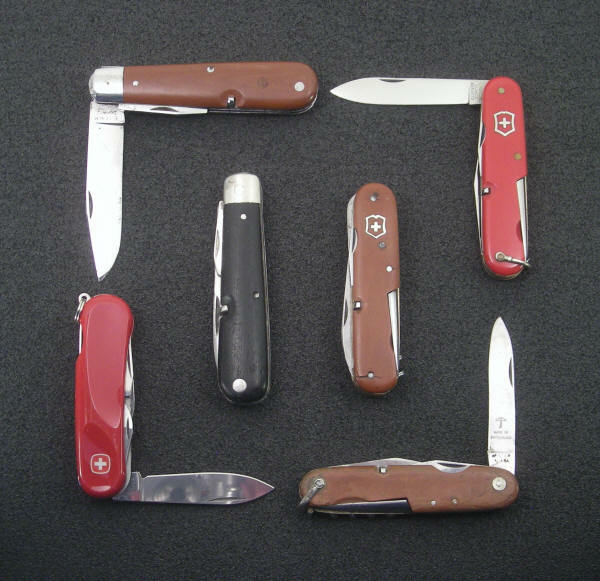 Elsener’s Messerfabrik became Victorinox and the Coutellerie became Wenger. American GIs named the knife with red handles the Swiss Army Knife and a legend had been born. If you have one of these excellent implements in your glove compartment, or in the kitchen utility drawer, or if you carry one while hiking, you know how useful and versatile the Swiss knife is. In materials, engineering, and standards of manufacturing, the Swiss quality is outstanding -- a pleasure to own and use. 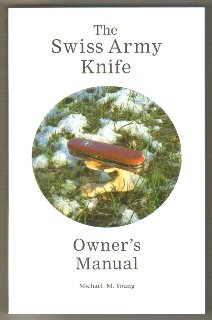 The history of this knife and its makers, use and safety, improvised uses, repairs and modifications, and some amazing true stories: It is all here in this book of the world’s most famous, best-loved pocketknife.